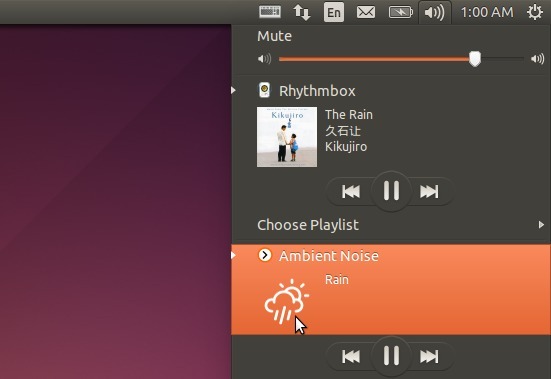 ANoise Player is a handy application allows to play some background noises in Ubuntu by simply choosing a noise (e.g., rain, night, wind, sea, storm, fire, forest, and coffee shop) from system tray sound menu. More noises can be added to menu manually. The player is an open-source project created by Marcos Alvarez Costales, an Ubuntu Member and the developer of Folder Color extension. So far, Ubuntu 12.04, Ubuntu 14.04, Ubuntu 14.10, and Ubuntu 15.04 are supported. Note: For GNOME Shell you’ll need this extension. If you don’t want to add the PPA, grab the .deb packages of anoise and anoise-media from PPA packages page. And I will recommend to install them via below command because they depend on each other. Once installed, start the player for the first time from the Unity Dash and then you can always play a ambient noise the sound indicator. To add your own .OGG noises to sound indicator, copy and paste the files into Computer > usr > share > anoise > sounds folder. You may run gksudo nautilus command to open file browser with root and do the copy and paste things. 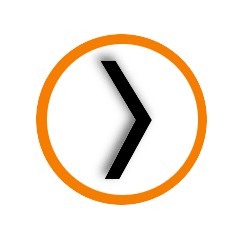 Of course, search for and install xfce4-indicator-plugin from Software Center, then add new item “Indicator Plugin” to your Xfce panel, which includes a sound indicator applet. From there you can control the Ambient Noise player. Thank you for recommending this app, it’s great. I also really like you site. Keep up the good work.